Kolache Shoppe sources its fillings locally, like the venison sausage from Junior's Smokehouse in Wharton. 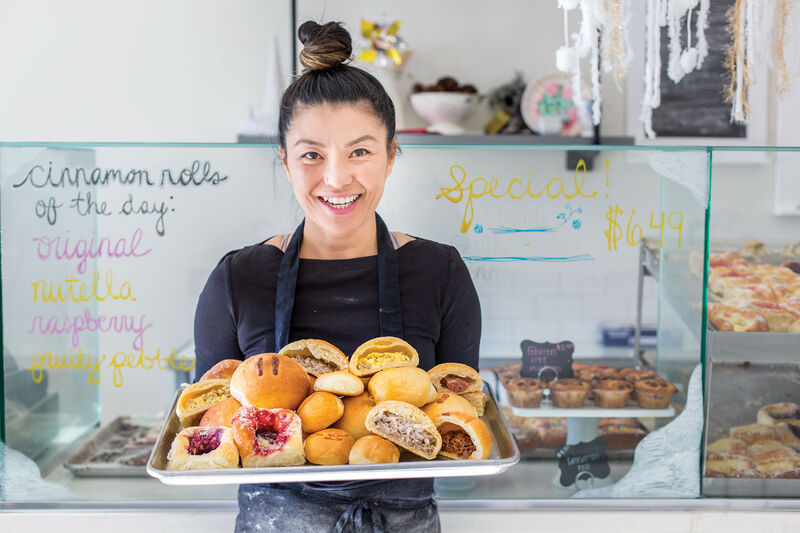 Tucked away on Richmond Ave., amidst reserved parking for nail salons and Skewers Grill, there is a kolache shop—and not just any kolache shop. 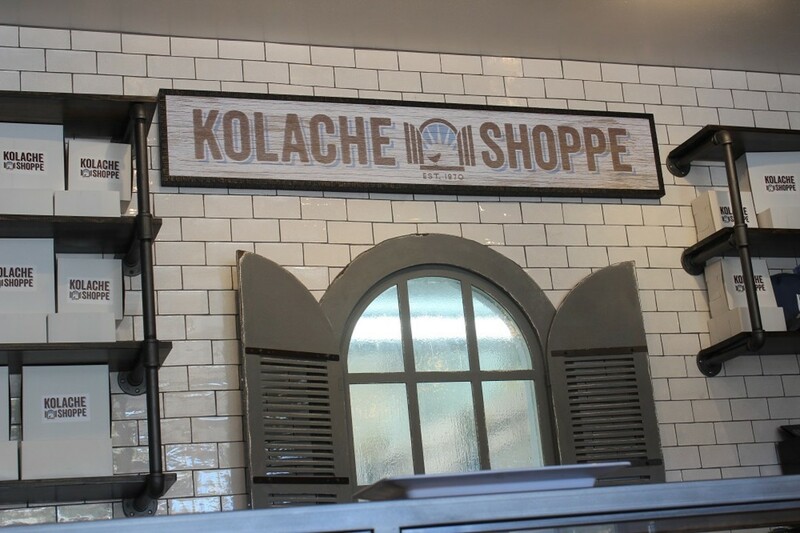 Run by Randy & Lucy Hines, Kolache Shoppe—a Houston staple since 1970—recently reopened its doors on January 21 after an extensive renovation. After 45 years of business, the Hines family is putting new spins on old favorites. 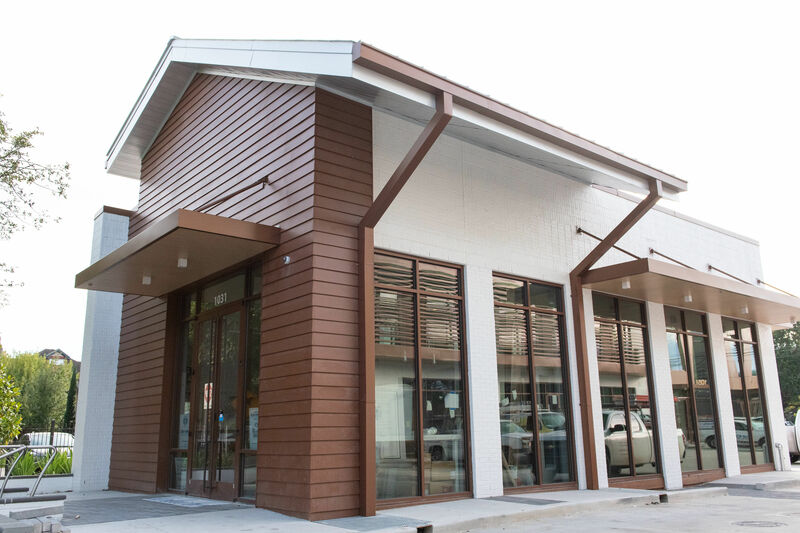 Kolache Shoppe’s renovations started with a fresh coat of paint and new décor from the same interior designers who gave Oxheart its signature look. 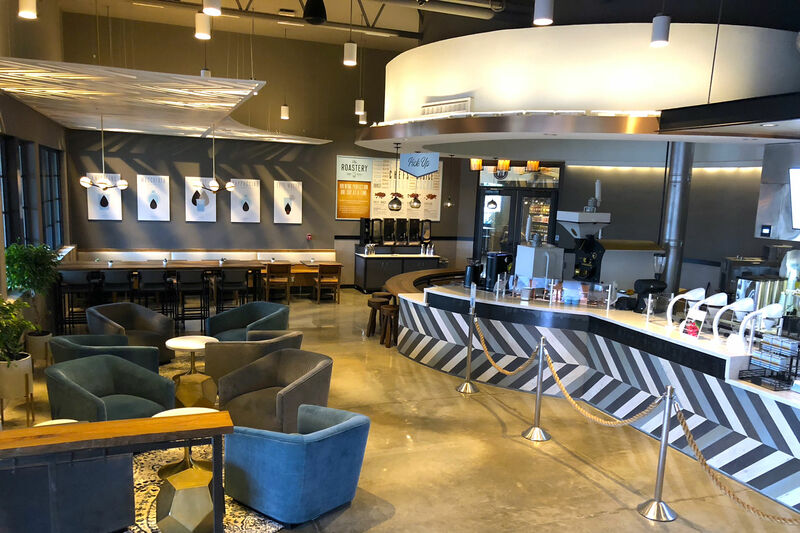 The peaceful atmosphere makes you feel like taking the morning off and slowly sipping some of their freshly-brewed coffees while munching on a delicious Czech pastry. In this way, Kolache Shoppe defies the notion that all kolache-related eateries have to hand you the food and kick you out the door. They invite you to stay and chat. And who wouldn’t want to, with kolaches this good? Underneath the paint and the polish, we all know that it comes down to the food. Good aesthetics will only get you so far in a town with the kind of developed palate that Houston has. Kolache Shoppe delivers, whether you’re eating one of its fresh fruit kolaches or a Polish kielbasa and cheese. For its reopening, Randy Hines explained, he wanted the shop to embrace the “true heritage” of kolaches in Texas. As most people who’ve traveled too far from the Lone Star State can tell you, these pastries just aren’t made the same outside of Texas—if you can find them at all. Randy ensures that Kolache Shoppe uses fresh produce every day, from the vegetables and herbs used to make salsa for the house special Ranchero Kolache to fresh spinach and potatoes for other breakfast kolaches. But he hasn’t stopped there; Randy and Lucy also partner with local establishments like Underbelly and Junior’s Smokehouse to get their hands on great meats and cheeses for their kolaches. The Hines are dedicated to showcasing Texas ingredients and making the most out of Houston’s vast array of vittles. Blue Heron Farms even contributes their signature bourbon caramel cream to make a dessert kolache that will have you sinking into an ocean of dreamy, gooey goodness. 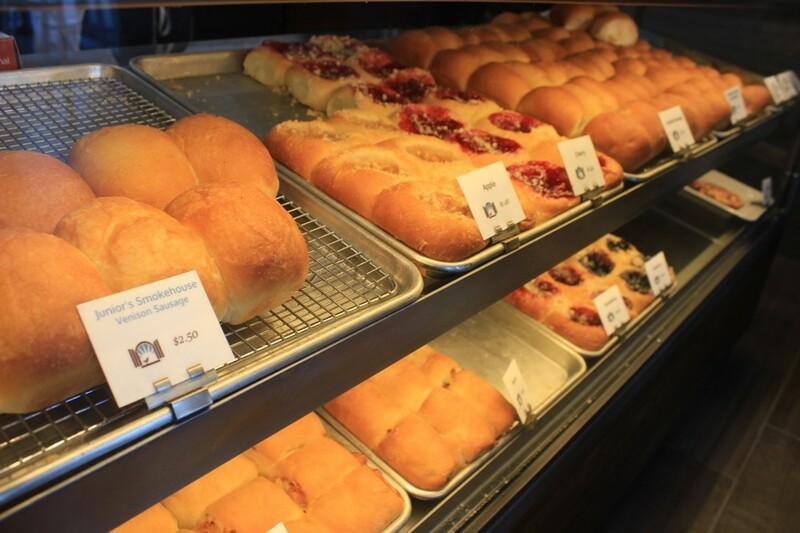 Using these sorts of local, seasonal products also means that Kolache Shoppe is always coming up with new flavors, rotating them out every month. Amongst the staple sausage and cheese kolaches (a.k.a. klobasneks), you’ll be able to find strawberry-rhubarb, Spring peach, chocolate cream, and creamy lime flavors depending on the time of the year, with a promise from Randy and Lucy to always surprise their regulars with something new. Our favorites this month are the venison, jalapeño, and cheese kolaches, finished off with a dessert kolache filled with fresh peaches. The savory kolaches (especially the spicy ones) manage to hit that perfect balance of heat and sweetness: the golden dough easily holds up to jalapeño, habanero, and salsa without getting soggy or disturbing a sensitive palate. 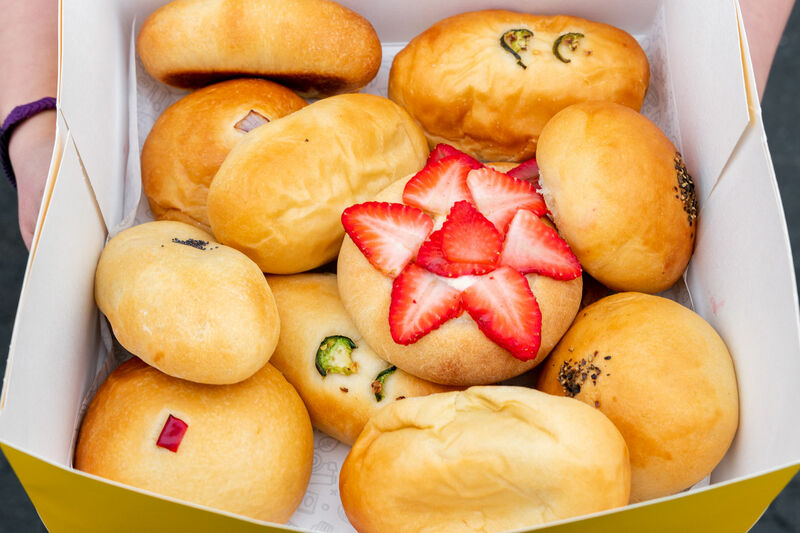 Paired with friendly service and an atmosphere usually reserved for neighborhood coffee shops or ice cream parlors, these Texas-sized kolaches definitely leave us wating more.